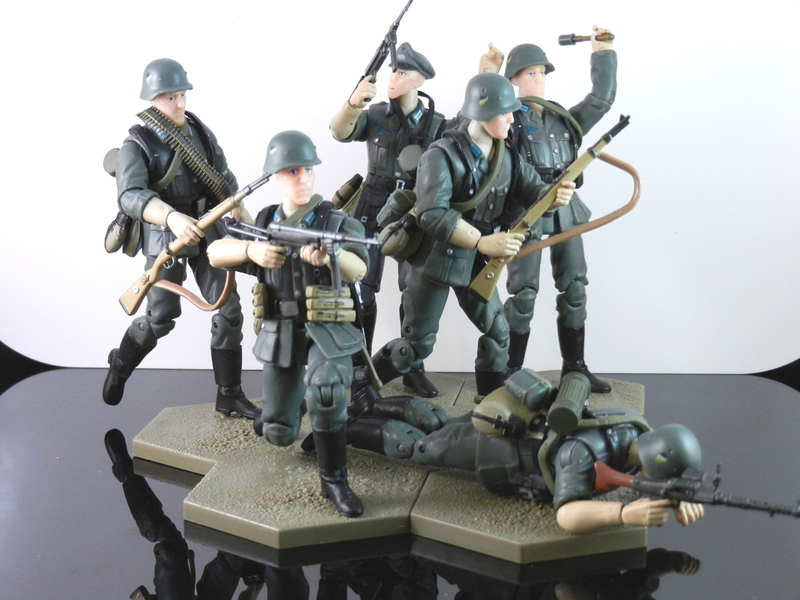 X Review: OurWar German Rifleman-A | The Fighting 1:18th! Next up is the Rifleman(A). From here on out, it may seem like some things are a little repetitive, and that’s because the “grunts” of the line are all pretty much the same figure with just a few minor differences in parts to differentiate them from another. They also use the same base webgear, but with different attached accessories. Regardless, we’ll get to that in the appropriate sections. On with the review! Check out more! Just click here!